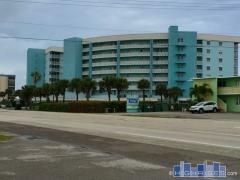 21 Riverside Drive is a high-rise condo building in Cocoa, FL that was built in 2004. 21 Riverside stands 9-stories tall and features a swimming pool and spa, a fitness center, community fishing pier, clubroom, and garage parking. Have any comments or questions about 21 Riverside Drive? Ask your question and/or share your thoughts about this Building.